MacroLan’s Virtual Hosting offers access to Windows and Linux virtual servers that are customisable and highly available. 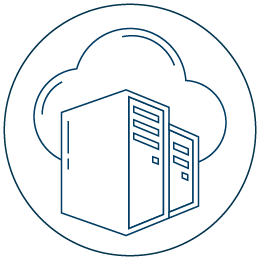 Our virtual servers provide fast and scalable access to compute (CPU) , memorise memory (RAM) and store data storage (Disk Space) as your business requires it. Virtual Servers are hosted locally within South Africa and come standard with high-speed, uncapped Internet Access. Businesses that do not want the hassle of owning and managing servers.